CEOs who understand the impact that gender equality has on their business, know it is critically important to address this issue; that it is the smart thing to do for financial reasons as well as ethical ones. However, gender equality goals cannot be met without solid strategies for how to address these challenges. 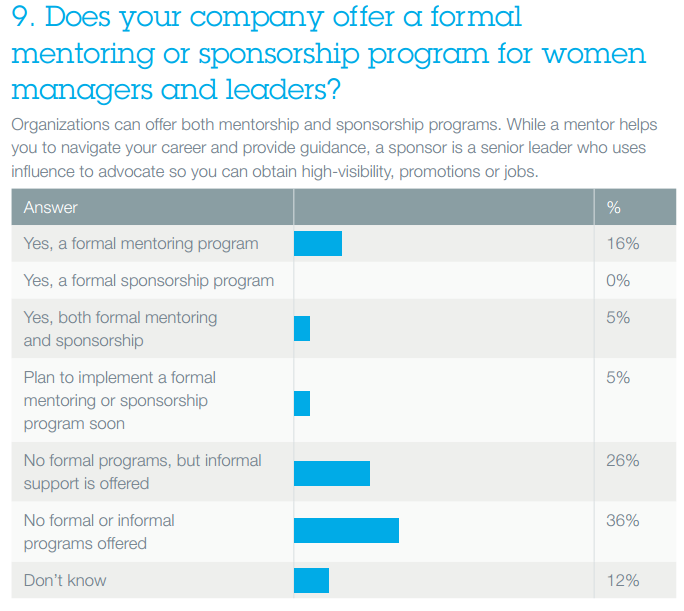 Mentoring is one important tranche in a portfolio of strategies to be used to grow women leaders. Women in positions of leadership, especially at the senior and C-suite levels is impaired by the lack of support and infrastructure to facilitate women’s mobility into leadership roles. The gender issue creates a variety of challenges. Women are more frequently sponsored by other women placing a much higher burden on senior women versus senior men. And it limits the sponsorship and mentoring they are able to provide. 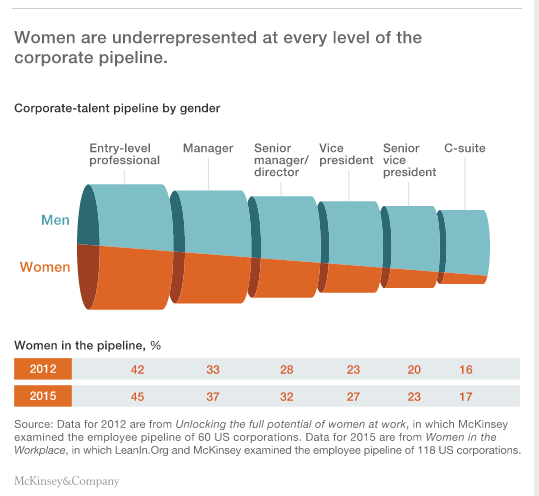 At every stage of the talent pipeline women are underrepresented. Companies must find ways to address this important issue. Mentoring, combined with other strategies, can make a big difference at every stage of that pipeline. One company we work with has a program that allows women in the company with high potential to get on a leadership track overseen by high-level mentors. Committing to women at all stages in their careers will have a much greater impact than only at the senior most levels. Mentorships can and should be used throughout the career of each high potential woman to provide needed guidance and support.